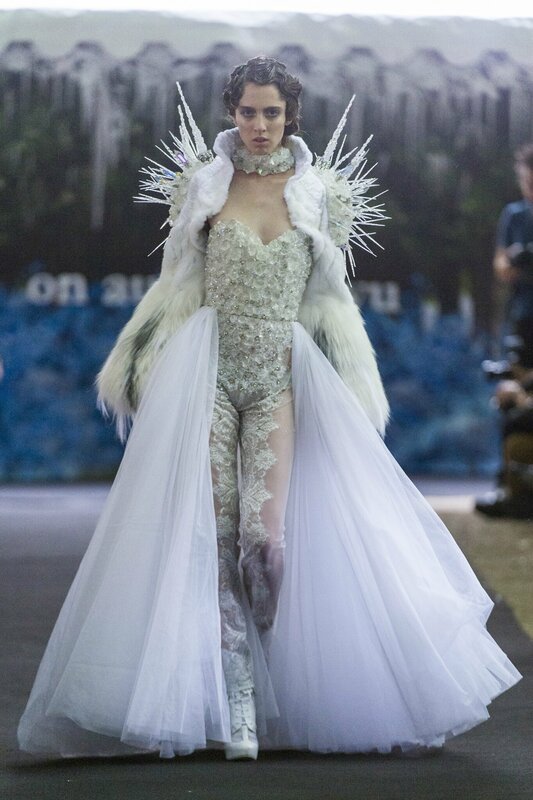 Wedding dress in lace and tull with fur jacket. Oversize crystal and glass shoulder pad. The new Show Queen.